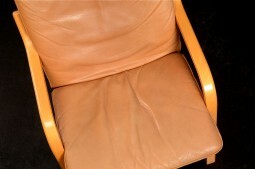 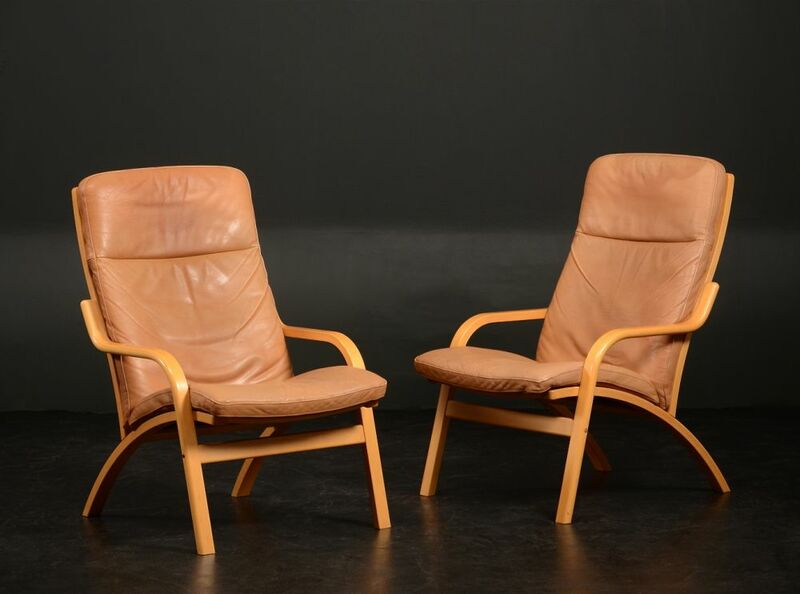 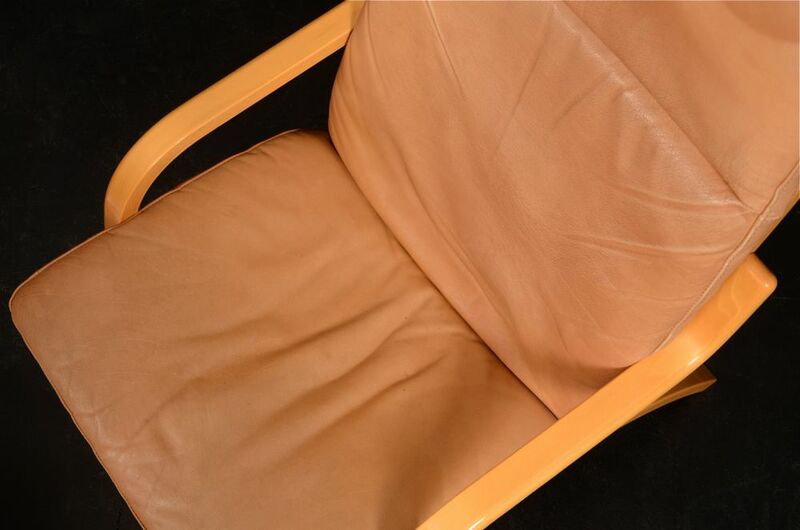 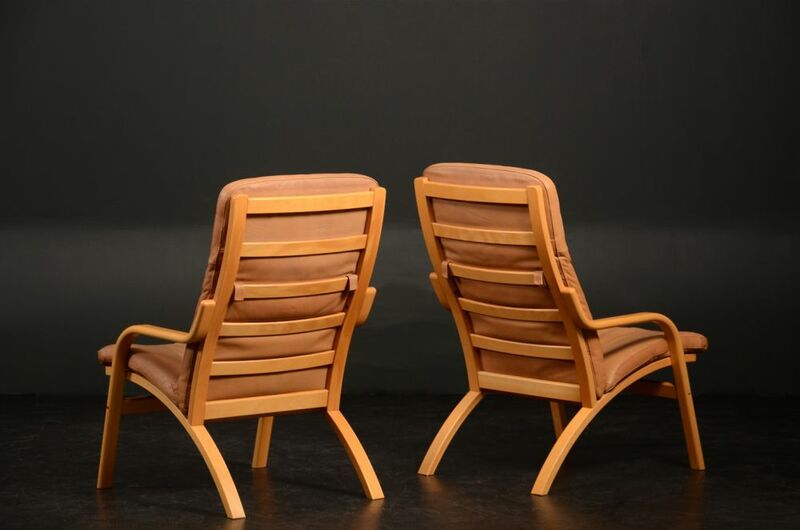 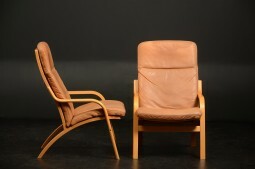 A pair of stylish light tan leather armchairs, that are deceptively comfortable. 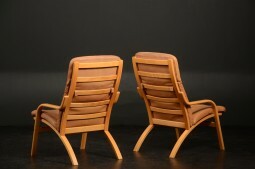 The shape of the back means that your lumber is supported without the need for cushions. 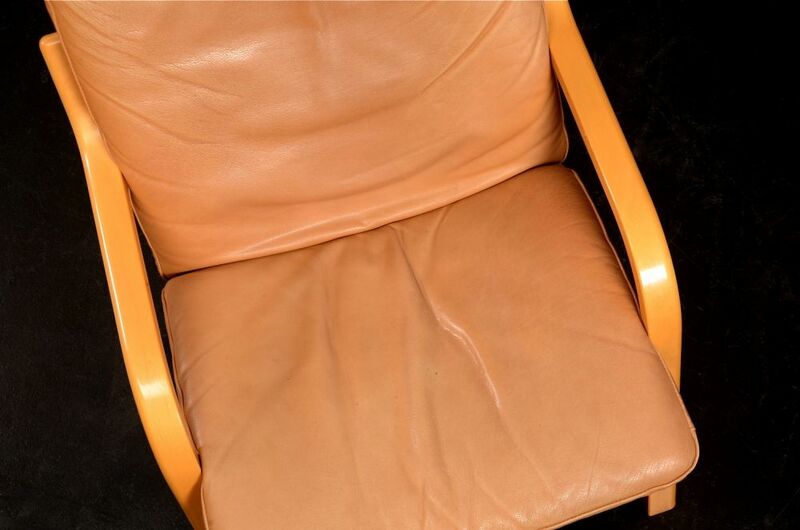 The chairs were probably designed and made in the 1980s, they are in very good original condition, with a level of use and wear to give them character. They have been cleaned and waxed. 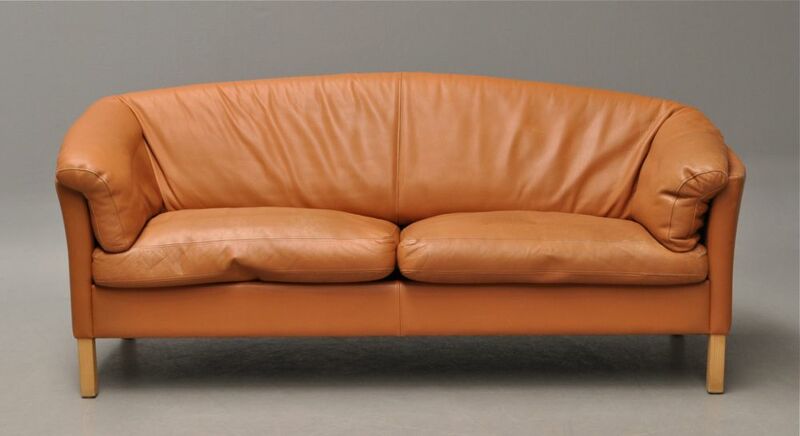 The last two photos shows a large leather sofa in the same colour, I have a on a separete listing. 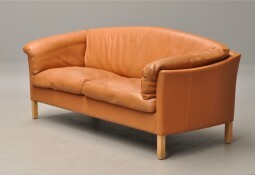 The measurements are 63 cm wide, 84 cm deep and 102 cm high, and the seat is 43 cm high.